1988 VW GTI 16v Wheel Spacers | Car News, Reviews, & Pricing for New & Used Cars. 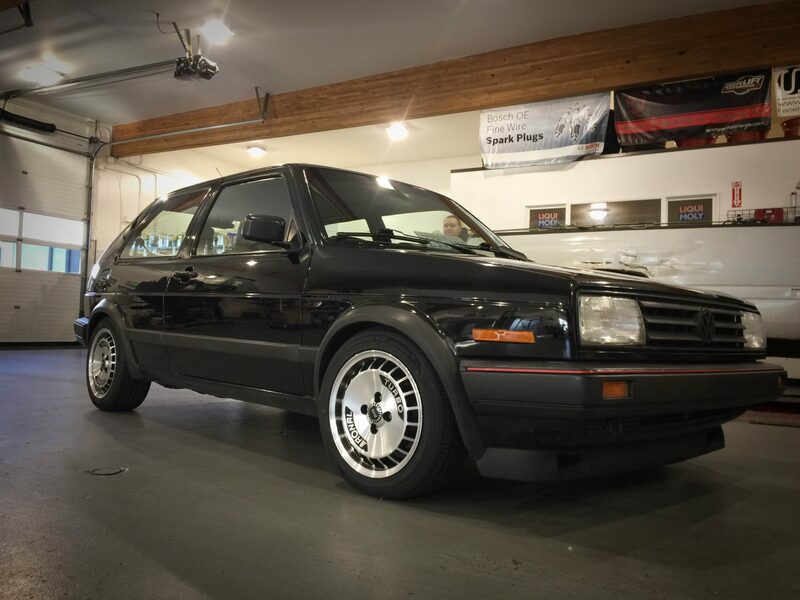 On Saturday our customer David came in for some wheel spacers on his ’88 VW GTI 16v. When he came in, he didn’t know which spacers he needed. After we discussed his options, he decided to have us test fit multiple sizes for him. We removed the wheels, installed 5, 10, 15 and 20mm spacers and showed him where the wheel would sit. On this GTI 16v, the hubs are different than most VWs with a 4×100 bolt pattern. When we tried installing the 5 mm spacers, they fit fine but were not quite what he was looking for. Then we went on to the 10mm and 15mm spacers. The hub centric section that centers the wheel and spacer has very little room to mount it flush. This is due to the extended hub on this model. It is difficult to get the spacer to fit correctly with these sized hubs. Some cars, such as Mk3 platform VWs do not have this problem. Also vehicles with rear disk brake also typically do not have this problem. After trying those sizes, we went to the 20mm spacer. These fit perfectly, and the fitment and spacing were on point. Although the rear looks great, the front also needs some spacers. David decided to wait on the fronts, however they could used some 10mm or 15mm spacers too. Side note: When the job was complete I jokingly asked, “How much are you selling the car for?” To my surprise, he said “I’ll sell it, do you want to buy it?” Apparently this SUPER CLEAN mk2 GTI is for sale for the right price. If you are interested in it, give us a call and we’ll put you in contact with the owner. If you need some custom fitment for your European car, call us 425-254-0627 or email us to make your appointment. 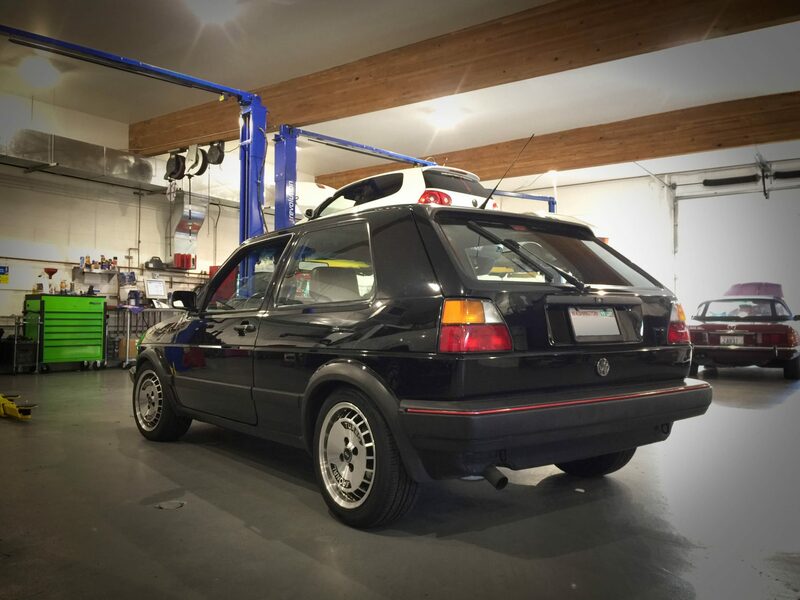 Meister Werks European & Import is located one block south from The Renton Landing in Renton, WA.